Just six weeks have passed since a Lee Chilton penalty earned Khalsa three points in a nip and tuck 1-0 win at the Victoria Ground. 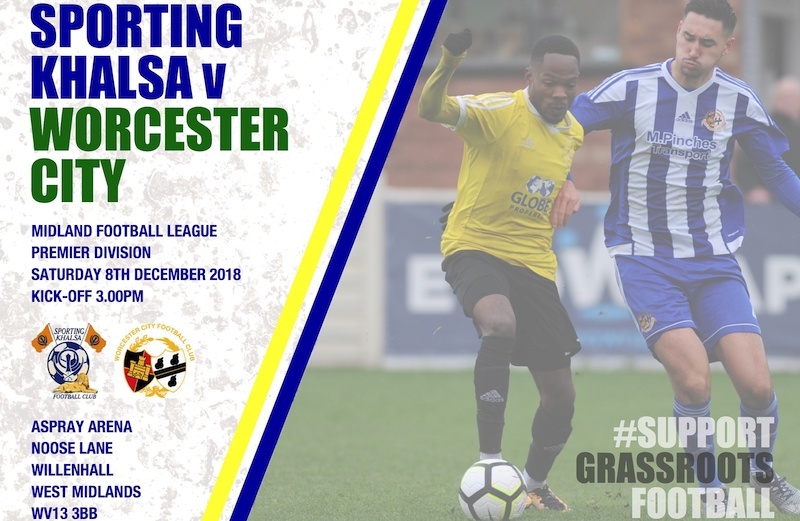 The return fixture at the Aspray Arena (kick off 3pm) will see the visitors seeking to extract revenge for that defeat after both sides have lost ground since that game with sixth placed Khalsa (then fourth) taking on the seventh placed side (then third). In their 19 matches, Worcester have reaped 32 points compared to Khalsa’s 34 points in 17 games. Since that defeat at the end of October, Worcester have had a patchy time of things. First they crashed out of the FA Vase at the hands of Desborough Town, were held at home 1-1 by Loughborough University and then beaten at Highgate United. A win at Long Eaton by 2-1 was then followed by a crushing home defeat 6-1 by Westfields last Saturday. 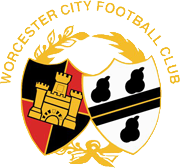 This week, Worcester added former AFC Wulfrunians and Wolves Sporting Community midfielder Kaoui Attoumani to their ranks and he is expected to feature in the Worcester squad on Saturday. For Khalsa’s part, they will be looking to bounce back from a harrowing 4-1 defeat in the Staffordshire Senior Cup at Stone Old Alleynians at the weekend. Ex-Khalsa striker Nicky Turton is likely to feature for Worcester. Nicky spent a short spell with Khalsa at the start of the 2016-17 season, his one goal for the club appropriately enough coming at the Victoria Ground in a league cup win against Bromsgrove Sporting. Another player possibly facing his former club is Khalsa’s Adam Osbourne who signed just after the reverse fixture having started the season at Worcester.